LED Technology is lighting the way to the most reliable, energy-efficient and cost-effective lighting solutions possible. Subscribe to the LED Lighting Blog. LED news and insight from our LED Lighting Specialist Heather Morgan. 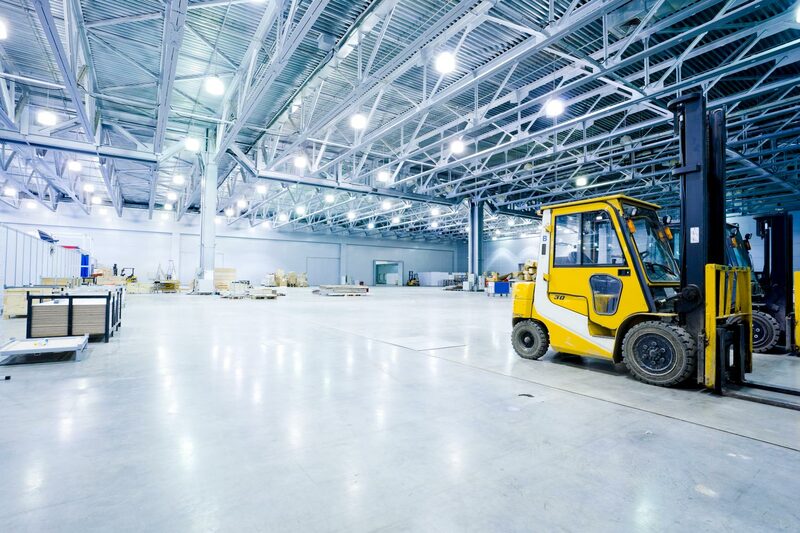 LED Lighting is considered the best long-term solution for industrial and commercial lighting because its environmental benefits, energy efficiency, and ROI make it the best lighting option available today. LED Lighting by ACD offers today’s most energy-efficient and rapid-developing lighting technologies. Our quality LED products have an amazing life-time projection, and have an average warranty of 7.5 years. Not only does LED Lighting last longer, are more durable, and offer better light quality than other types of lighting, but it also yields rapid payback and significant environmental benefits. LED is a lighting technology that is highly energy efficient. LEDs use only 2-17 watts of electricity (1/3rd – 1/30th of incandescent and CFL). LED lights can deliver the same amount of lighting while consuming 85% less energy, last 10 times longer than a regular incandescent bulb, and are 4x more efficient. Create a better work place. You’ll notice the difference instantly. With LED Lighting, there are no hotspots, or glare. The illumination from LED lighting is seamless because LEDs are not visible. Your workers won’t be distracted by hotspots or glare, creating an effective work environment. Unlike traditional lighting, LEDs provide maximum illumination in an instant, instead of the warm-up time required by others. Fun Fact: LED lights do not attract bugs because they do not give off enough heat. More than a decade of maintenance-free-service. LEDs can last as much as 20 times longer than other lighting sources, so they don’t need to be replaced often. They are also very durable and not damaged under circumstances a typical light could be damaged. LEDs are designed to provide more than 10 years of maintenance-free-service. Fun Fact: An LED bulb in a newborn’s room today wouldn’t have to be replaced until the child goes to college. Download Our Featured LED Lighting Case Study. Learn how a local volunteer fire company reduced costs and improved efficiency by utilizing LED Lighting by ACD. Click on the Tabs below to view the LED Lighting Product Catalog of the manufacturer you wish. [fa icon="plus-square"] What are LEDs? LED’s, or a light emitting diode, are semiconductor devices that emit light once there is an applied voltage. LED’s are then mounted to a circuit board and incorporated into a lighting fixture. [fa icon="plus-square"] What makes LED’s more robust than any other lighting source? LEDs are free of gases, filaments and do not have any moving parts to fatigue. They provide instant light through a one step process. There is no glass to break, screwed contacts to loosen, or any delay after switching on. [fa icon="plus-square"] What are the economic benefits of using LEDs instead of conventional light sources? The operational and maintenance cost of LEDs are significantly less than conventional lighting, because LEDs have a longer life span, reducing maintenance and lamp replacement costs. LEDs also consume less energy and most applications offer a payback period as low as 2 years. [fa icon="plus-square"] What are the benefits of using LEDs in industrial facilities? [fa icon="plus-square"] What does a life of 50,000 hours mean in the case of – LEDs? [fa icon="plus-square"] How much longer does an LED last than a conventional light source? On average, an LED will last 4x longer than a CFL and 25x longer than an incandescent source when operated the same amount. We pride ourselves not only on our knowledgeable sales team, but also on our unparalleled support of every product we sell. At ACD, our focus is simple...the success of our customers.